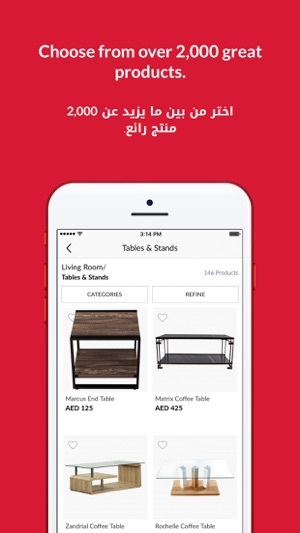 Enjoy free delivery on orders over AED 250 (UAE), SAR 250 (Saudi Arabia) or BHD 25 (Bahrain) and on furniture orders over AED 1,500 (UAE), SAR 2,000 (Saudi Arabia) or BHD 150 (Bahrain). Make the most of our Promise Plus guarantee with a 2-year limited warranty, price guarantee and much, much more. 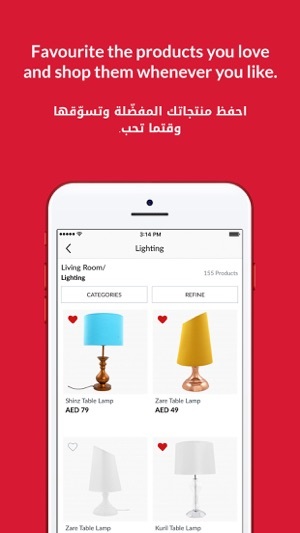 The Home Box app brings you over 4,000 affordable and fashion-forward home products including value furniture, furnishings and home décor. Shop and enjoy great deals today. •	- Conveniently schedule your furniture delivery and enjoy free assembly. •	- Pay by cash, Credit or Debit Cards, international Credit Cards and Shukrans. •	- Easily return or cancel your order from our app in a few easy steps. 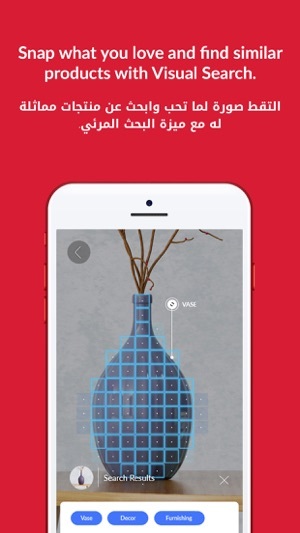 •	- Earn valuable Shukrans and spend them for instant savings. •	- Favourite the products you love and shop them anytime you want. There’s a whole lot more for you to enjoy, so go ahead and download our Home Box app today. استمتع بالشحن المجاني على الطلبات بأكثر من 250 درهم في الإمارات أو 250 ريال في السعودية أو 25 دينار في البحرين، وعلى طلبات الأثاث بأكثر من 1,500 درهم في الإمارات أو 2,000 ريال في السعودية أو 150 دينار في البحرين. واستفد من ضمان هوم بوكس للجودة "أكثر من وعد" الذي يوفر ضمان محدود لمدة عامين، ضمان لأفضل سعر، وأكثر بكثير. تسوّق ما يزيد عن 4,000 من منتجات المنزل العصرية بأسعار معقولة؛ بما فيها الأثاث، المفروشات، وديكور المنزل. احصل على تطبيق هوم بوكس واستمتع بعروض رائعة اليوم. • حدد موعد توصيل الأثاث الخاص بك بكل سهولة وراحة واستمتع بالتركيب المجاني. • ادفع نقدًا، عبر بطاقة الائتمان أو الخصم المباشر ونقاط شكرنز. 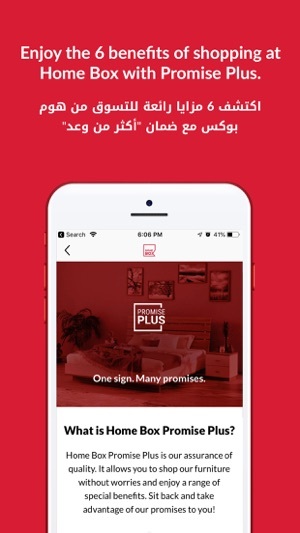 • اكسب نقاط شكرنز القيّمة وأنفقها للحصول على خصم فوري. وهناك أكثر من ذلك بكثير لمتعة أكبر، سارع بتحميل تطبيق هوم بوكس اليوم. نتمنّى لك تجربة تسوق ممتعة! It’s a great shopping app BUT they don’t have a lot of languages/ countries to choose from and USA isn’t one of them. So I can’t figure out the prices!